24 volt to 19 volt DC/DC converters (regulated) 100 Watts from PowerStream. 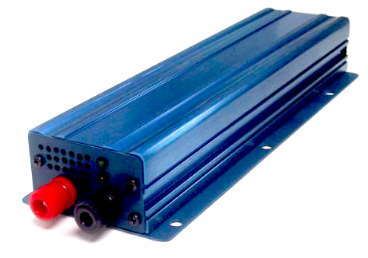 High power 24 volt to 19 volt DC/DC converters at reasonable cost. .These are regulated switching power converters (switchmode), designed to allow the use of 19 volt equipment in 24 volt vehicles. These are attractive, reliable, robust DC/DC converters good for fork lifts, off-road, construction and recreational equipment.